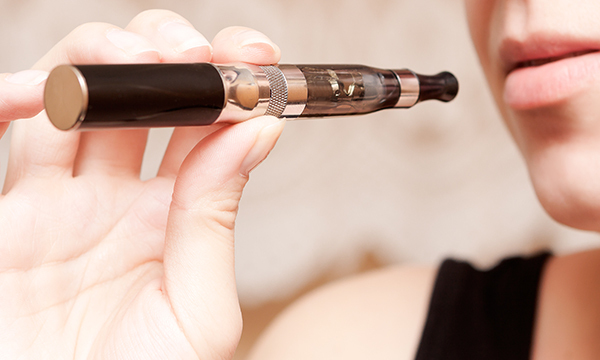 Readers panel: Should e-cigarettes be available on prescription for NHS patients? If you can afford to smoke, you can afford e-cigarettes. At a time when the NHS is in crisis, with scarce resources, Public Health England should be focusing its energies on supporting smoking cessation services, where resources are really needed, not making e-cigarettes available on prescription. And although e-cigarettes may be considered safer than tobacco, their safety and efficacy are still unproven in the long term, especially devices that heat the liquid. While I am tentatively in favour of e-cigarettes as a smoking cessation aid, we need evidence on the best type to use and supporting quality assurances. For example, e-cigarettes that use fluid are not safe in hospital settings – they can be tampered with, and some bought online have burst into flames, presenting a risk to the user and those around them. Once an e-cigarette has been designated as safe to use in hospitals, making them available on prescription would ensure more chance of achieving the intended result. While e-cigarettes may have benefits in helping to reduce the number of people smoking tobacco in the UK, I’m a bit concerned about the message that making them available on prescription would send out. Rather than discouraging smoking completely, this would be making an alternative form more attractive. Ending the health issues associated with smoking would be an achievement, but the ultimate goal for health providers should be to eradicate nicotine addiction altogether. If the evidence is there to support the effectiveness of e-cigarettes in helping people quit smoking, this would seem a worthwhile strategy. However, my understanding is that e-cigarettes are commonly used as a long-term alternative to smoking, rather than a stepping down, and the health implications of prolonged use are still unknown. With measured application they could be used to assist people to stop smoking rather than just moving them onto another supposedly less harmful form.